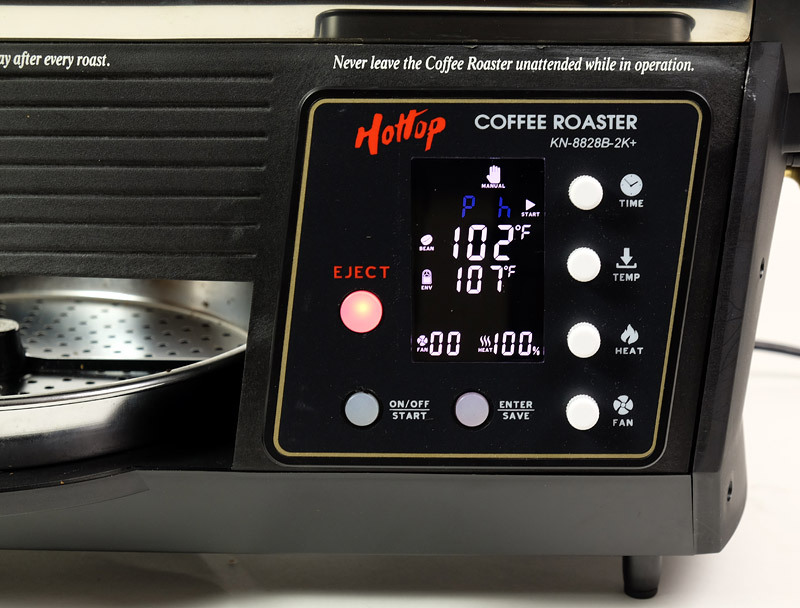 This latest Hottop model adds USB connectivity to Artisan roasting software running on a computer. You will have the ability to run the roaster from the Artisan software once properly configured; alternately you can control the roaster directly. In either case Artisan will record the roast profile and key events during the roast. Saved profiles can be stored and serve as a background to future roasts if you wish to follow a previously successful roast of a given coffee. 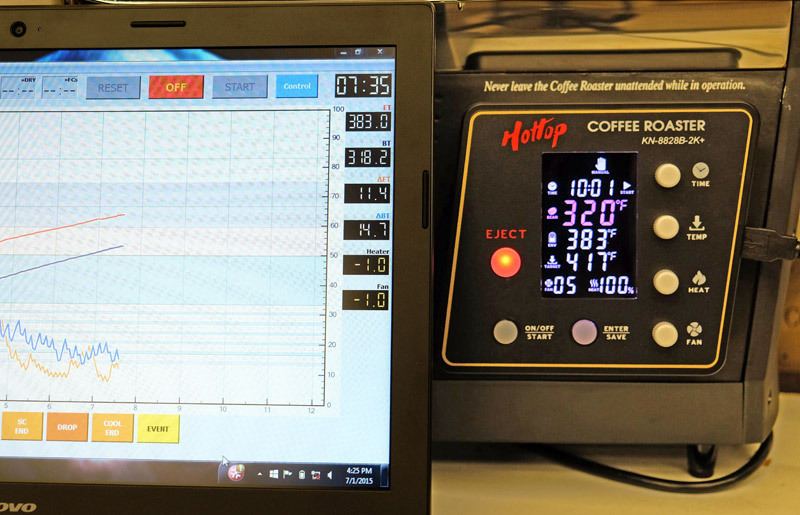 This roaster and software combination takes home roasting to a new level and adds immensely to its enjoyment. We can only accept Hottop orders for the United States, its territories and Canada. Hottop orders must be paid via PayPal and you can use any standard credit card. You do not need a PayPal account. Artisan software can be used on Windows, Mac and Linux computers and is open source *free* software. While free it is well supported and updated by a community of users and is surprisingly robust providing near professional capabilities. 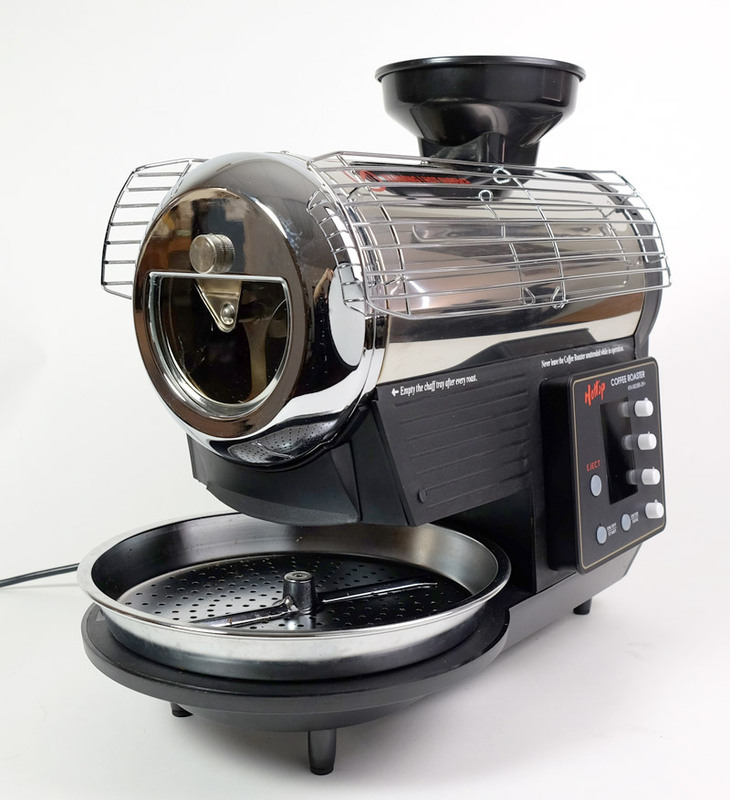 We have had a chance to test this roaster and have really enjoyed ourselves in doing so. One nice aspect of Hottop is that the body of the machine has not changed in years, however, the company continues to improve the product and offers their customers upgrade kits. If you have an older Hottop model then such kits are available although they can be expensive. 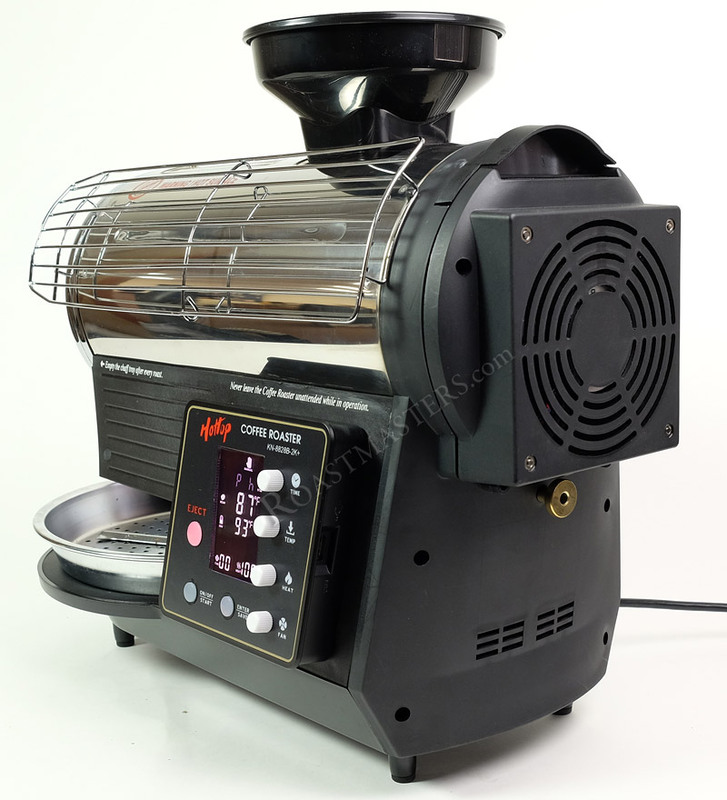 For new customers going directly to this model it's nice to know the company is not trying to always sell you something new and the core roaster has significant longevity. As to Artisan, it's excellent software that lets you track bean and environmental temperatures, deltas for each which are similar to rate-of-rise, add notes, follow prior profile guides, produces spider graphs, has room for cupping notes, color analysis for those with such measuring equipment and many other features. 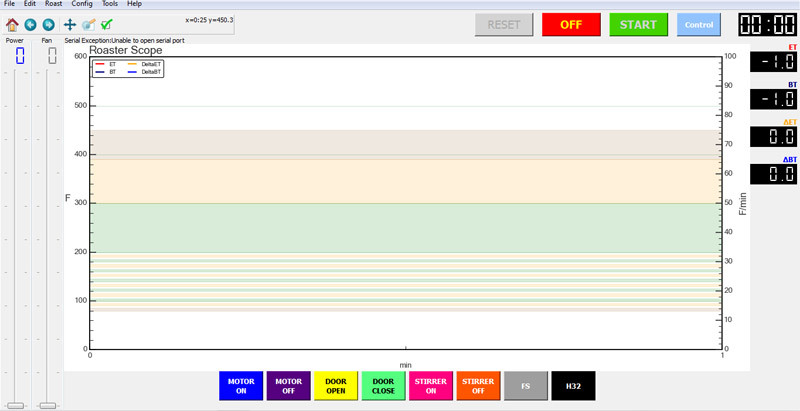 Many home roasters have used this developed software for years, mainly recording profiles from handmade notes. Now, not only is Artisan capable of recording real time information from this Hottop model, but, the software can control the roaster including its fan speed, heating elements, stirrer, motor and ejection door. For those looking for a totally automated experience this will not be the one for you. But this will be great fun for the DIY type who likes to exert full control over their coffee roasting and wants to perfect their roast profiles. 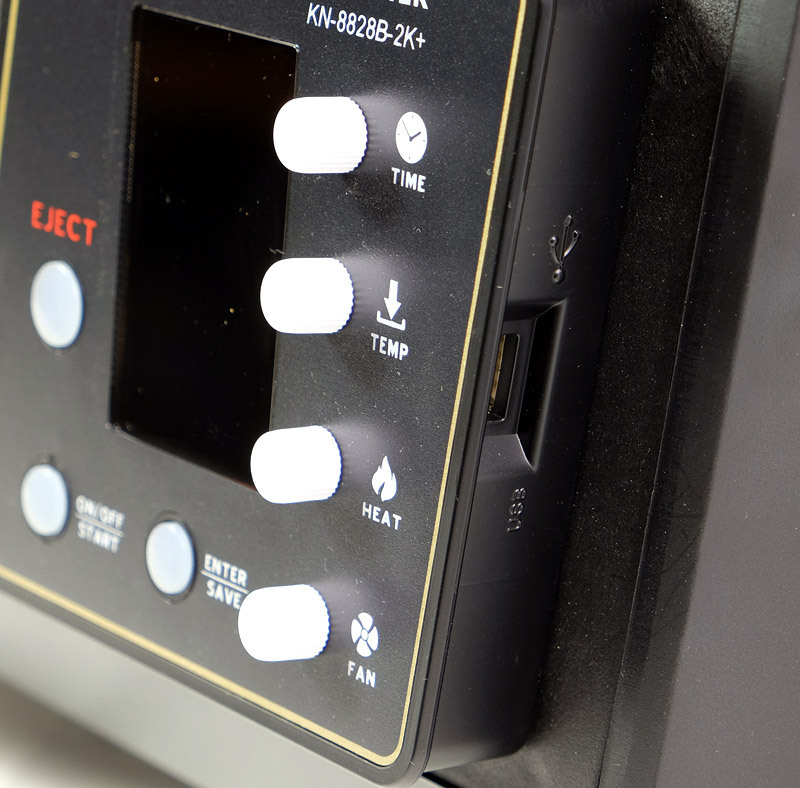 The Hottop KN-8828B-2K+and Artisan software combination is as close to professional grade as you're apt to find in a home roaster at this time.